Our tradition as Poor Clares of Perpetual Adoration is to renew our vows every year on Trinity Sunday. God gave us an extra special gift today: some of our friars are in town and celebrated Mass for us! 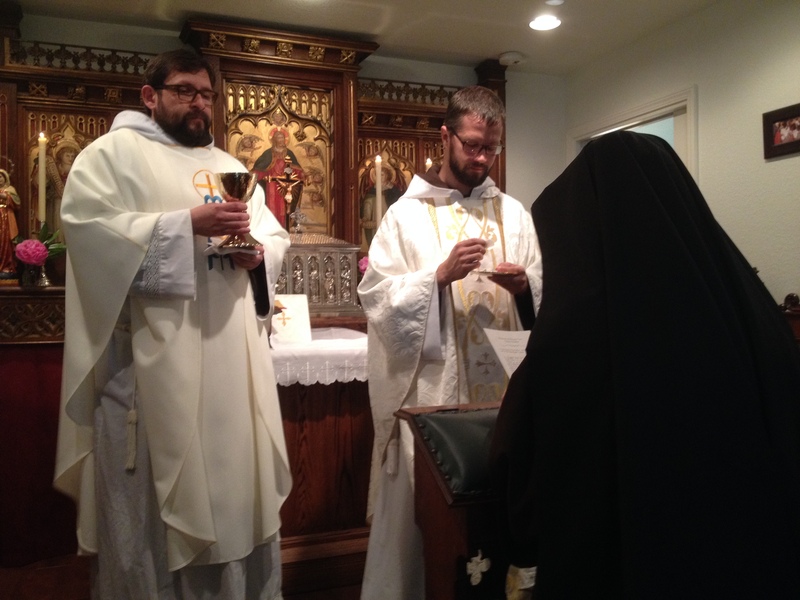 It was such a blessing to renew our vows with our friar priests in our little house chapel. Fr. 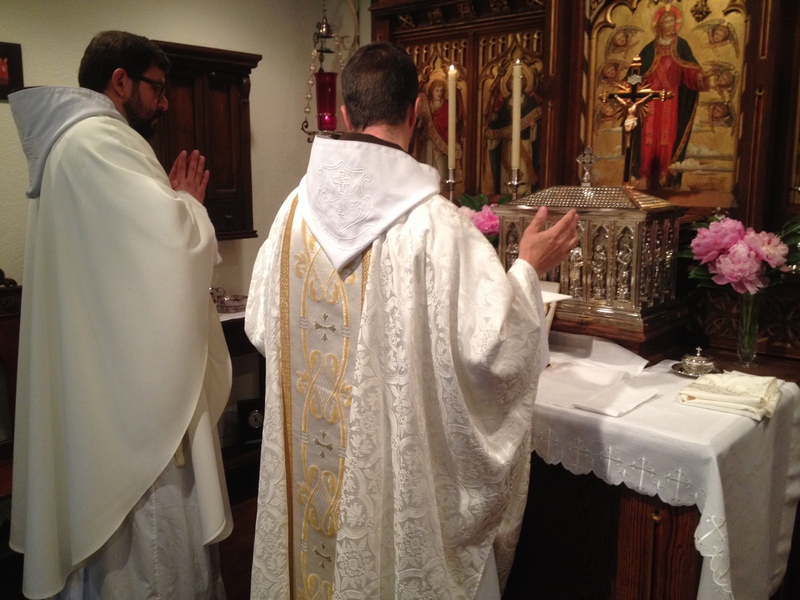 Paschal celebrated Mass, and Fr. Leonard preached a brief, but beautiful, homily on the Trinity as the source of our unity and charity. We renew our vows right before Holy Communion. As the priest holds the Sacred Host before each sister, she consecrates her life to adoration of Jesus in the Most Blessed Sacrament. As Fr. Leonard reminded us in his homily, the Trinity is present, in all Its operations, in the Holy Eucharist. 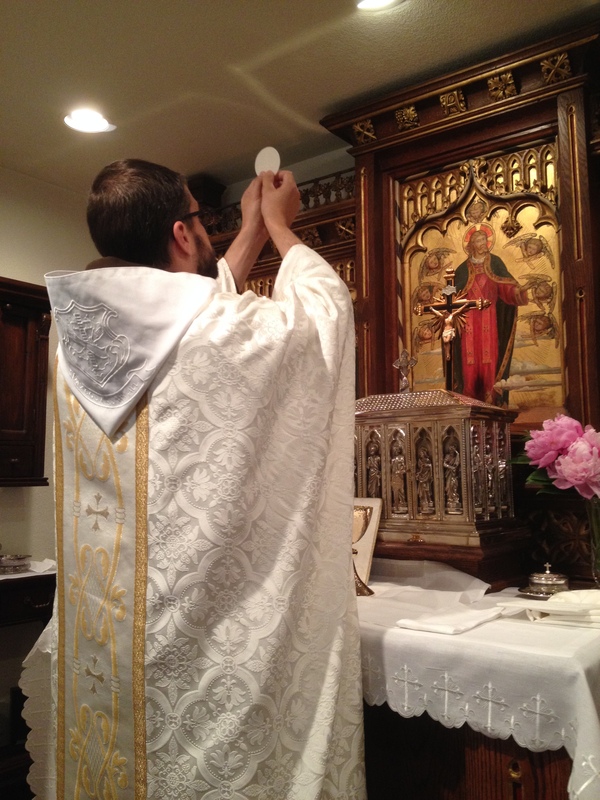 May each of us, religious and laity alike, truly take advantage of all the graces available to us whenever we worthily receive Holy Communion. For in that Trinity is the supreme source of all things, and the most perfect beauty, and the most blessed delight. This entry was posted in A Nun's Life and tagged Franciscan Missionaries of the Eternal Word, Poor Clares of Perpetual Adoration, Trinity Sunday, vows by texasnuns. Bookmark the permalink. Congratulations and our prayers for another fruitful and joy-filled year!